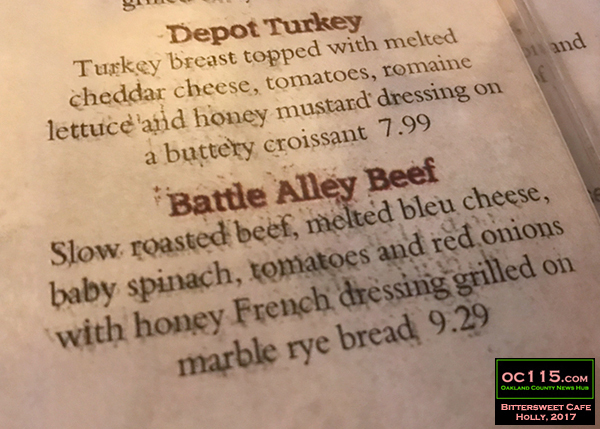 Holly, MI – I’m not sure how many restaurants in Holly have a dish named after the village’s famous “Battle Alley,” but one of the contenders is the Battle Alley Sandwich at Bittersweet Café. 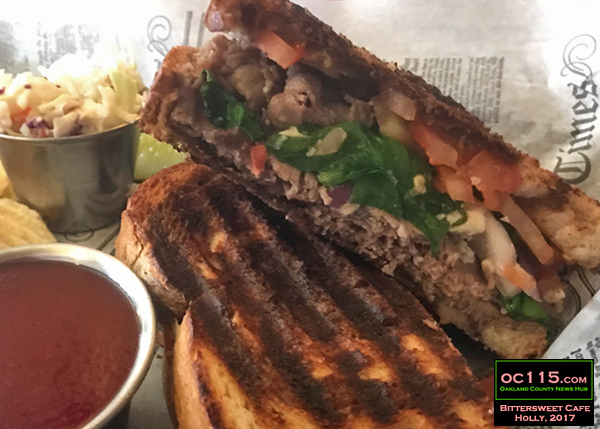 Bittersweet’s Battle Alley Beef sandwich has slow roasted beef, melted bleu cheese, baby spinach, tomatoes and red onions with honey French dressing grilled on marbled rye bread. I ordered mine with the dressing on the side and found it pretty tasty without it. 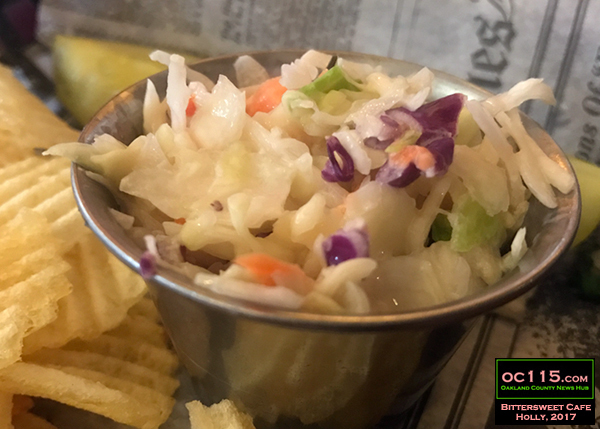 The sandwich comes with potato chips and a side of cole slaw served in a little metal cup. I loved that the meal came served on faux newsprint wax paper. My favorite thing at Bittersweet so far is the Creamosa. 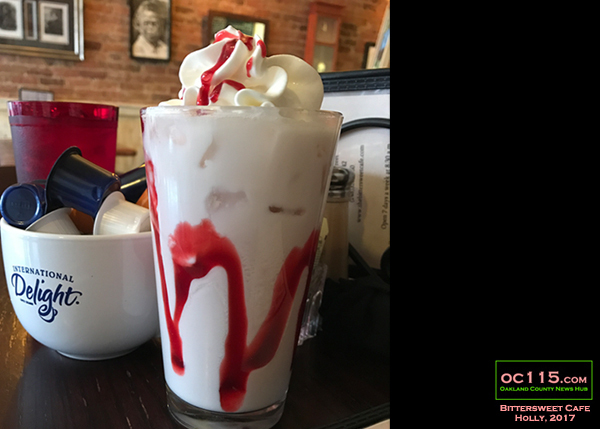 This concoction has sparkling water with vanilla, orange or raspberry syrup and cream, served over ice. I went for the raspberry. It was amazing. 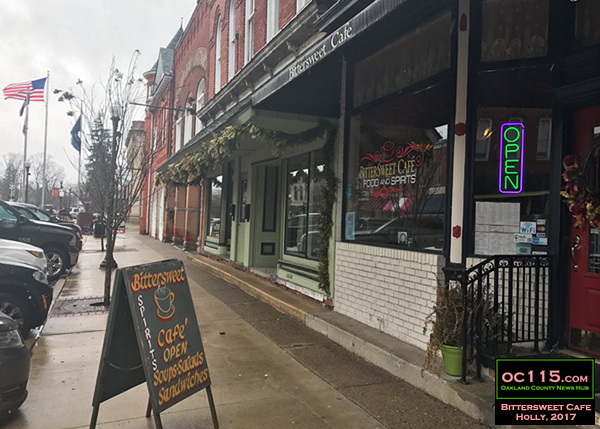 Check out more about Bittersweet Cafe at www.thebittersweetcafe.com. Learn more about the exciting things to do in the Village of Holly in our special “Daytrip to Holly” Section!